Thank you to everyone who left a comment. I really enjoyed reading about all of the favorite places in the world that you all love. I think one of the more popular favorite places was your own backyard. What's not to LOVE about HOME!!! 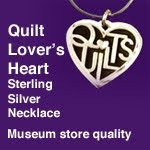 I will mail the Book and the Mini Mug Rug to you as soon as I hear from you. Welcome to my part of the Springtime in the Rockies Blog Tour that runs through Sept. 27th. 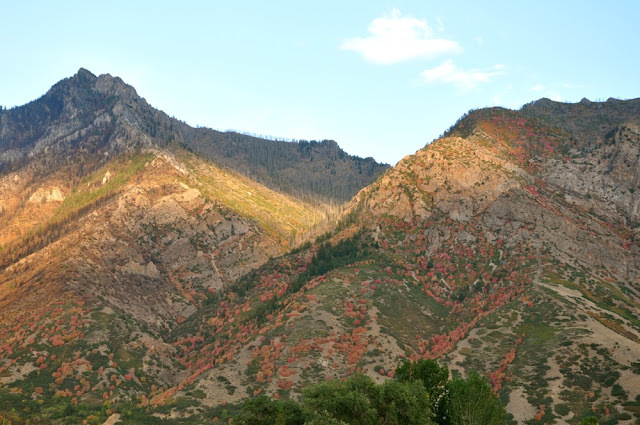 Even though it's officially FALL here in the Rockies it seems like SPRING with all of the beautiful colors on the mountainside. Yesterday I was driving to a family gathering and the colors were out in force. Everywhere you looked you could see color splashed across the valley!! It was absolutely beautiful!!! I took this picture Monday evening around 7pm as the sun was going down. I saw this beautiful view as I was dropping my daughter off at her dance class so, I rushed home and grabbed my camera so I could capture the beauty that was all around me. The valley literally glowed! I love the mountains and sometimes they become such a part of your life that you can easily forget to look at them and take in their beauty. Note to Self... Remember to STOP and LOOK around YOU! Enjoy the Fall Colors! My favorite mountain growing up was Mt. 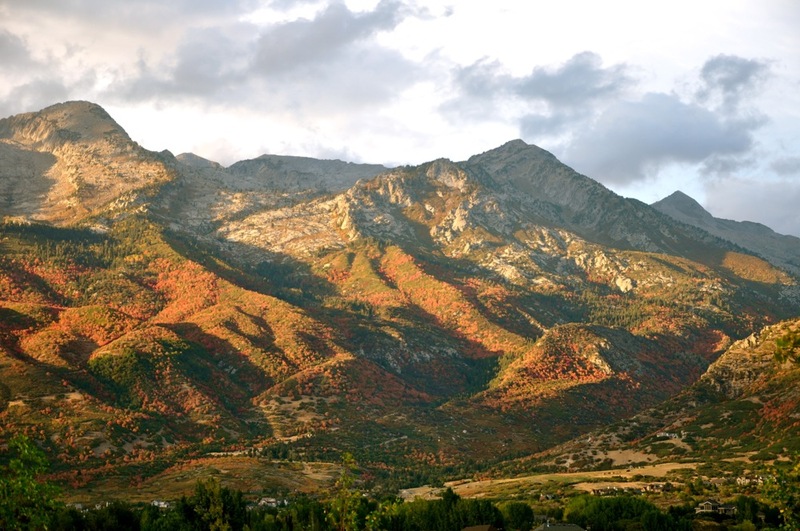 Timpanogos. Every day I could look out my window and see it's majestic peeks. 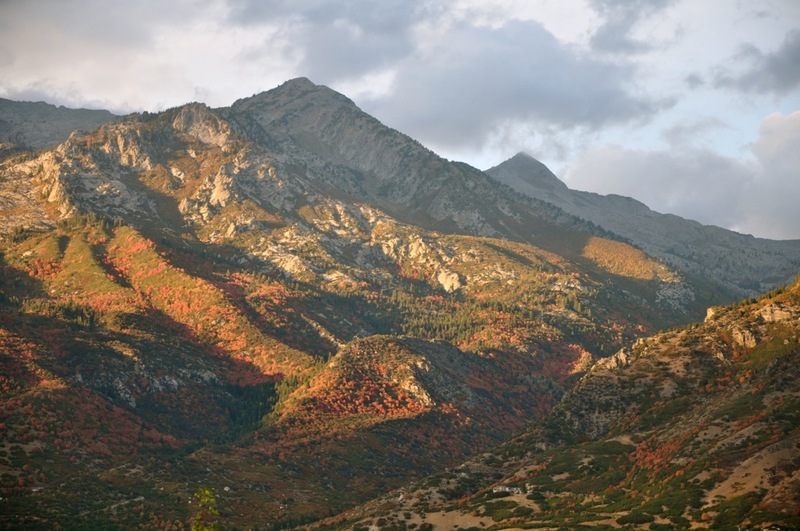 I loved seeing my mountains and when I moved to California it just didn't feel like home. When we moved back I knew it was home because I felt comforted seeing the mountains all around me. 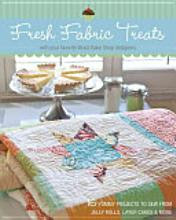 And that leads me into talking about quilts, which always bring comfort! Right? 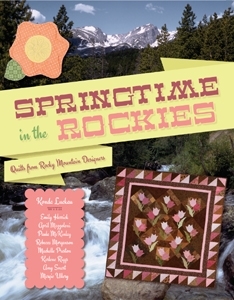 Well, I want to share with you a new QUILT BOOK called "Springtime in the ROCKIES" by Konda Luckau and 8 other Rocky Mountain Quilters. Today I'm joining with my friend, Machelle Preston, in celebrating her project in the new book "Springtime in the ROCKIES" and the quilt is called "Stepping into Spring". . . it's a darling Nine-Patch and Snowball Quilt (along with a few HST's) with a bit of applique and embroidery sewn in the center of the quilt. 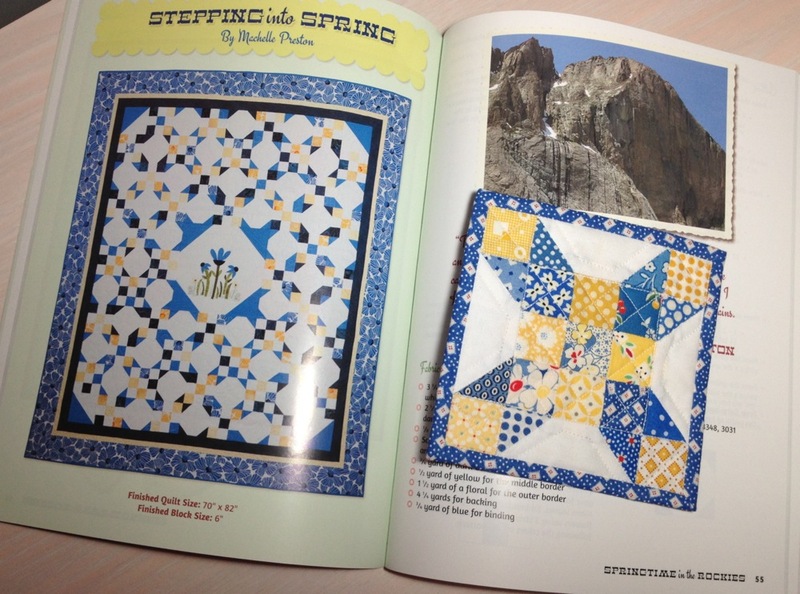 You will find Machelle's Quilt on pages #54-59. The BIG NEWS today is that. . . I'm not only giving away THE BOOK. 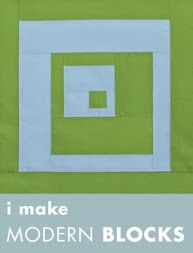 . . but I'm also giving away a MINI MUG RUG that I made up using a scaled down block version of Machelle's quilt project. Isn't it sooo cute? I love things that are itty bitty, teeny tiny, and really small. I hope the winner loves it as much as I do because I almost kept it for myself. lol. 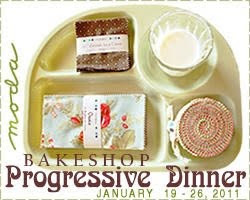 Make sure to visit each blog for a chance to win a book. Leave ONE comment telling me your favorite place in the world to visit!!! I will pick one winner on Saturday, September 29, 2012. 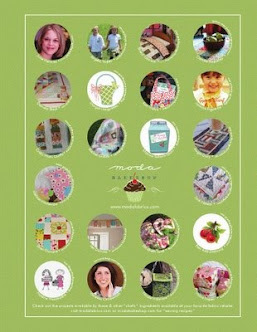 I will then send the book "Springtime in the Rockies" and the Mini Mug Rug to the winner. If you are a NO COMMENT BLOGGER, or you don't have a BLOG, then just leave me your email address in the comment section. 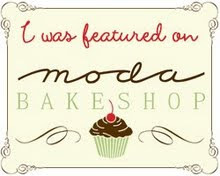 THANKS FOR READING MY BLOG and for LEAVING A COMMENT!!! Today I'm blogging about one of my new favorite creative places to visit, browse, and spend money at. The place is called The Wood Connection and it's a store filled with holiday projects of every kind along with all the supplies you need to make the many projects in their showroom. You will also find wooden frames of all sizes, plaques, blocks, ribbons, paints, tools, cut vinyl letters, sayings and also a variety of wooden letters. The hardest part is picking out just ONE project. 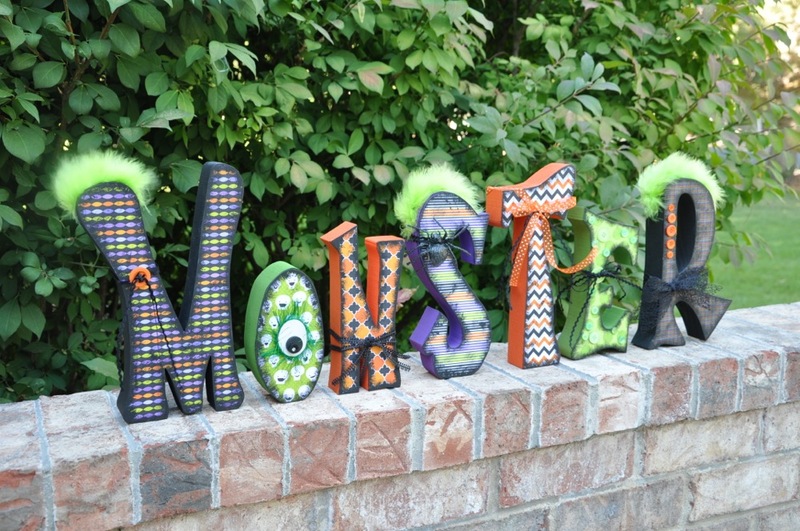 I recently finished making this set of MONSTER letters that I'm using for my Halloween decorating this year. I think my grandkids will really like them. 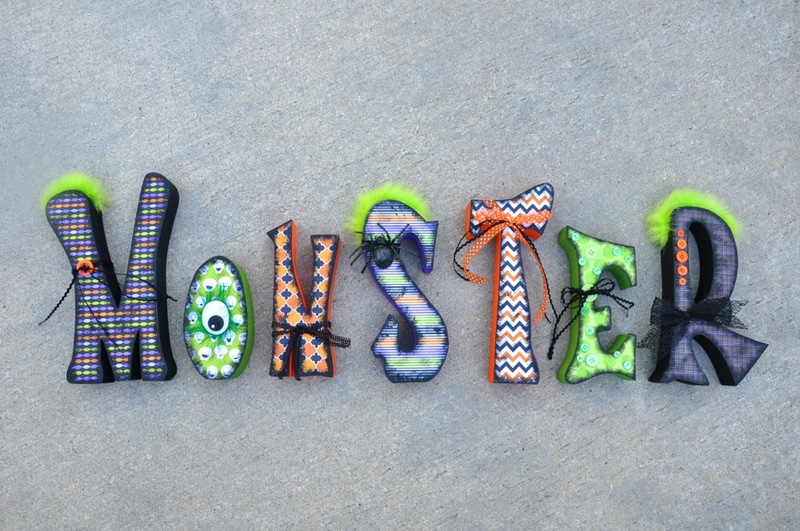 I still have to purchase the three little monsters and I thought it would be fun to put their names on each of the three stands. Go HERE to see the 3 little wooden monsters I have yet to make. 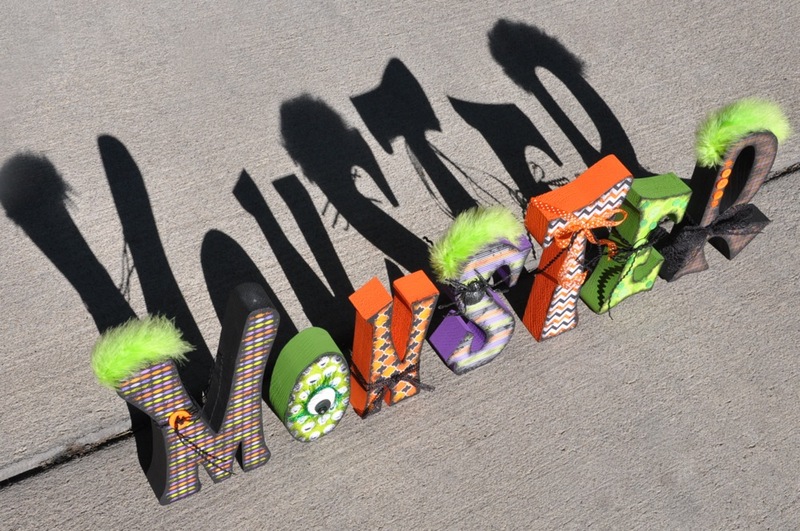 Click HERE to see a few more of their Halloween Projects. 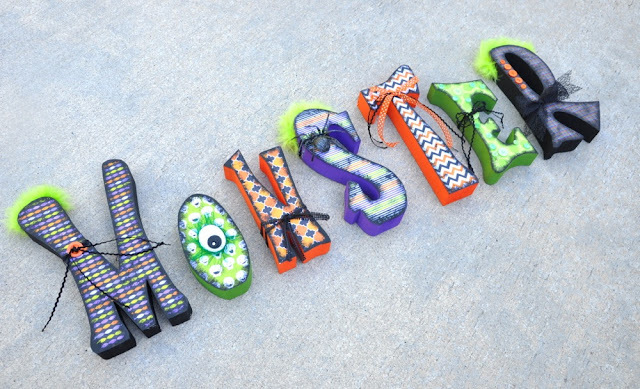 What I love most about their projects is that it takes a minimal amount of painting and all of the designs on each of the letters is done using scrapbook paper and then adding trim like ribbon, ric rac, buttons, and fur, just to name a few. On this project I also used heat set jewels on the letter T. You should be able to click on each of the pictures to get a closer look. 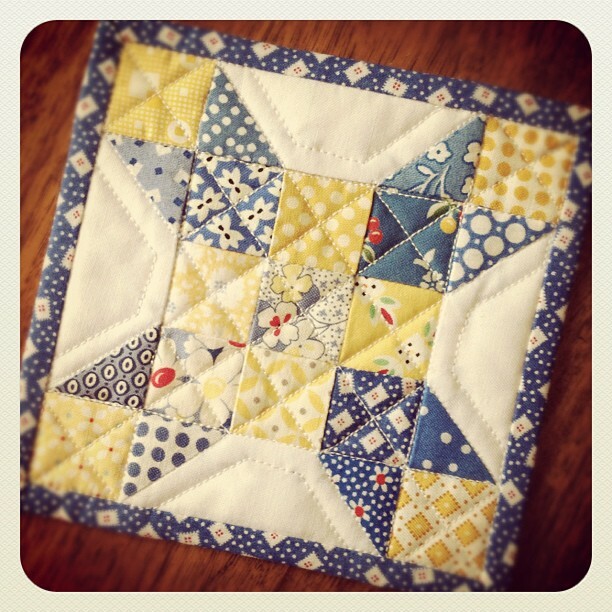 Go HERE to see their CRAFT TIPS on how to paint the blocks and apply the paper to the wood. 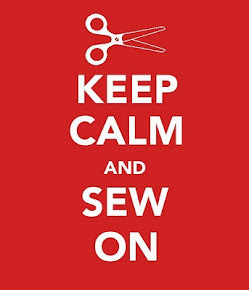 Go HERE to follow The Wood Connection on PINTEREST! Right now The Wood Connection is only located in Utah but when I talked with the ladies at the store they were hoping to be able to ship items in the not too distant future. So, next time you find yourself in UTAH make sure to visit one of their three locations and give yourself at least an hour to browse and take it all in.